Connect with Our Team in Nashville! 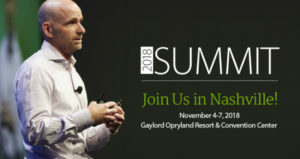 Pathway Health is proud to be a Silver Level Sponsor of the PointClickCare® 2018 Summit in Nashville, TN, November 4-7. Joining roughly 2,000 industry thought leaders in skilled nursing, senior living and home care, our team is excited to attend, present and exhibit at the conference. November 6 from 1:45 p.m. – 2:30 p.m.
November 6 from 2:45 p.m. – 3:30 p.m. Describe an acceptable documentation format for Medicare compliance. Understand how the sequencing of ICD-10 codes is important and must tell the story. Identify a process for diagnosis management that will be acceptable for nursing, rehab, billing and medical records. Monday, November 5, from 7:30 a.m. – 8:45 a.m. and 10:45 a.m. – 11:15 a.m.
Tuesday, November 6, from 7:00 a.m. – 8:45 a.m., 9:30 a.m. – 10:45 and 12:00 p.m. – 1:30 p.m.
Wednesday, November 7, from 7:30 a.m. – 9:00 a.m. and 12:00 p.m. – 1:30 p.m. Partner Pre-Event Reception – Sunday, November 4, from 4:30 p.m. – 5:30 p.m. Welcome Reception – Sunday, November 4, from 6:00 p.m. – 8:00 p.m.
Expo Hall Wine & Cheese Reception – Monday, November 5, from 5:00 – 6:30 p.m.
Gala Night – Tuesday, November 6, from 6:00 p.m. – 10:00 p.m.